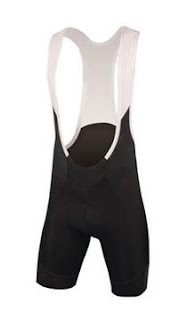 Endura's FS260-Pro SL Bibshorts are made of Italian power Lycra fabric for excellent muscle support, and they feature Coldblack technology to dramatically reduce the heat. These UPF 50+ shorts have a pre-curved race fit and mesh upper for optimal breathability. Plus, you'll love Endura's 700-Series antibacterial semi-custom fit chamois (available in three widths) so you can chose the ideal width to match your body, bike geometry, and riding position. Last week, Century Cycles owner Scott Cowan spoke to Diane Lees, host of The Outspokin' Cyclist, a radio program on WJCU 88.7FM. Diane and Scott discussed the Century Cycles Bike To School Challenge, the largest bike-to-school program in the nation. Click here to listen to the program online. Join Bike Cleveland and other area transportation advocates this week at public meetings to discuss possible changes to two significant bicycle access corridors! Riding east across the Veteran's Memorial (Detroit-Superior) Bridge is not always an easy proposition. The bike lanes on Detroit Ave end at West 25th Street and the speed limit jumps from 25mph to 35mph. Worse, because the bridge is a large structure with wide lanes and clear sight lines, people tend to go much faster than the posted speed limit. The end result is an unsafe situation on one of Cleveland’s primary east/west bicycle routes. The good news is that NOACA and the City of Cleveland are addressing this situation. One proposal is to close the southern (eastbound) lane to cars and trucks and create a dedicated bicycle / pedestrian facility in addition to reconfiguring the intersections at both ends of the bridge. The city is hosting the first of two public meetings to gather information and share opinions. If you can, we encourage you to attend and voice your support for plans that would dramatically improve one of the most critical connections in the city. You can also share your thoughts by filling out NOACA’s survey. 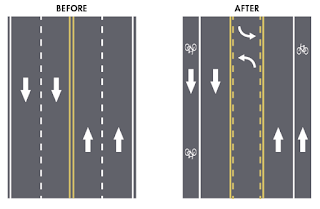 Lakeshore Boulevard is currently configured for traffic volumes that simply do not exist. This excess capacity promotes speeding at the cost of safety, neighborhood connectivity, pedestrian utility, retail performance, and multimodal usage. 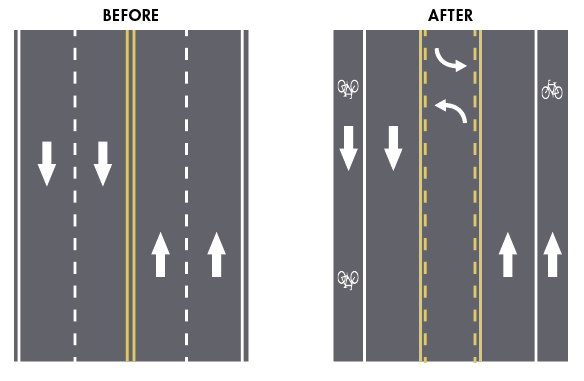 The City of Cleveland has proposed a "road diet" that will calm traffic and reduce crashes without impeding the flow of cars. Such configurations have been in use for over three decades, and are endorsed by the U.S. DOT as an effective means of improving the safety and livability of our neighborhoods. Councilman Polensek is skeptical of the proposed new configuration and is hosting a public meeting to discuss the issue. Lakeshore is part of the Lakefront Bikeway, 2014 Master Bikeway Implementation Plan, 2007 Master Bikeway Plan, and the new Eastside Greenway plan. If you live in the area around Lakeshore, or travel on it, you should attend and voice your support for calmer traffic and better bike facilities. 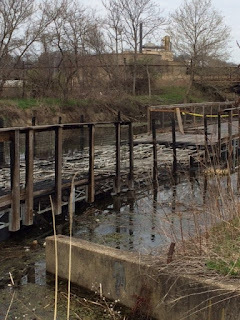 On Tuesday, April 19, 2016, vandals severely damaged the floating bridge north of Wilbeth Road in Akron, Ohio by setting fire to a forty foot section of the popular Ohio & Erie Canal Towpath Trail. 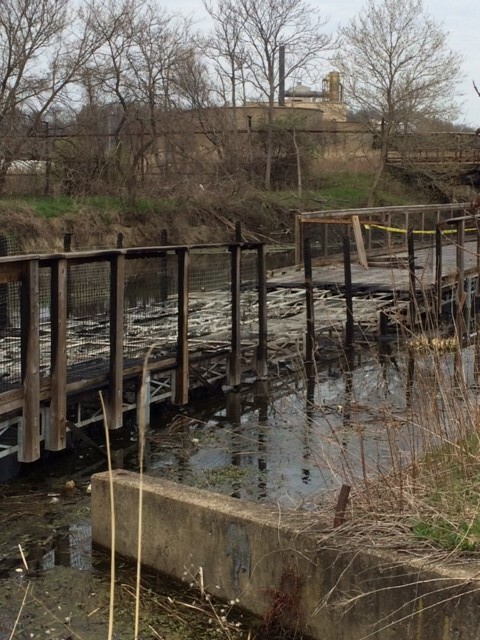 A group is working in partnership with Summit Metro Parks and The City of Akron to access the damage and develop a plan for repairs to the floating boardwalk. A crowd-funding page has been created to accept donations for the repair effort. All proceeds will benefit the Ohio & Erie Canalway Coalition to go towards the floating bridge repair. Congratulations to Bob and his wife Mary from Berea! 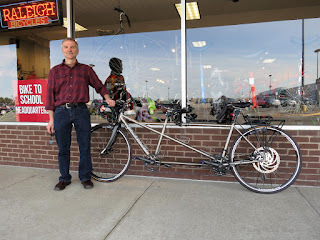 They recently picked up their dream bike, a brand new Santana Ti 700 tandem bicycle from the Century Cycles store in Medina. This bike just happens to be the most elaborate bike ever purchased at Century Cycles. What makes it so special? 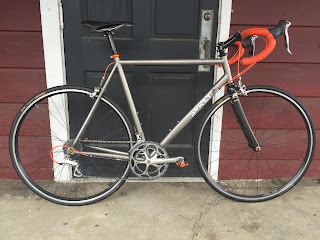 Basically any thing that makes a bike more complicated, this bike has. It's a tandem of course, so that's step 1. 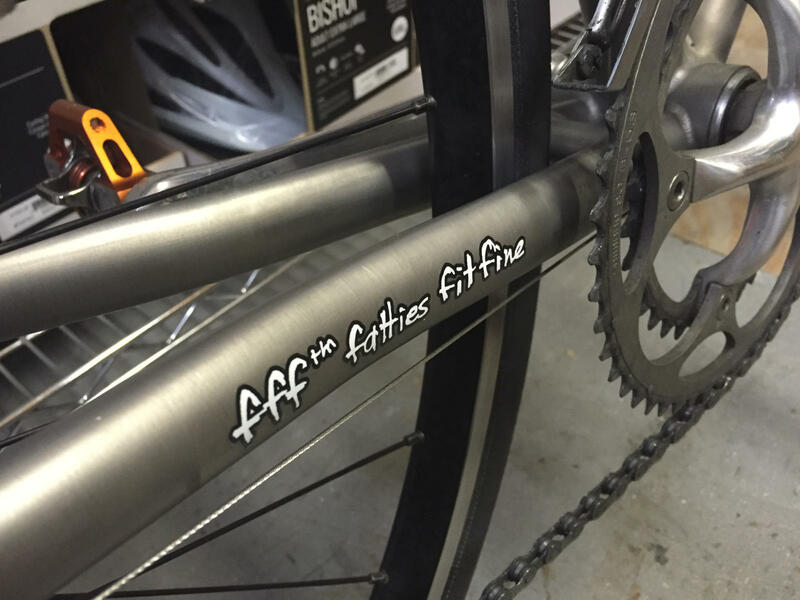 It's got a titanium frame and carbon fork. 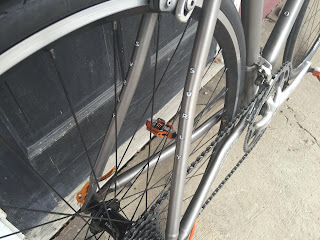 Other upgrades include a Gates Carbon Belt Drive timing chain, rear disc brake, Shimano Di2 electronic drive train, the rear cargo rack, S&S couplers that allow the bike to be broken down to fit into an airline-regulation travel case, and said travel case. Are you and your partner looking for your dream ride? 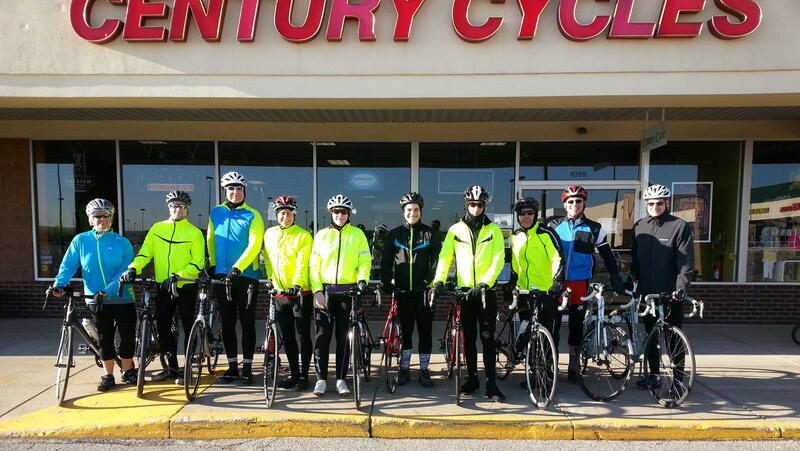 Stop on in the Century Cycles store in Medina! We are an Authorized Dealer for Santana Tandems, and our staff includes experienced tandem bicycle owners and riders who can help you select and spec out your ultimate bicycle built for two (or even three or four)! We are just a week and a half away from the 2016 Century Cycles Bike To School Challenge! If you haven't caught up on all of the details of this year's program yet, click here. Residents are invited to bring their bicycles in for a free safety inspection by the professional bicycle mechanics from Century Cycles bicycle store in Rocky River. The store's staff will also display essential bike commuting gear and information and make smoothies on the Century Cycles blender bike. Century Cycles and Raleigh Bicycles are teaming up to give away 20 bicycle helmets to the first 20 families who attend (limit of one helmet per family). Rocky River Bike to School Challenge organizers will be available to answer questions about the program. The Rocky River Police Department is providing free bike licenses. Bike Cleveland and Rocky River High School Environmental Club will have informational booths. 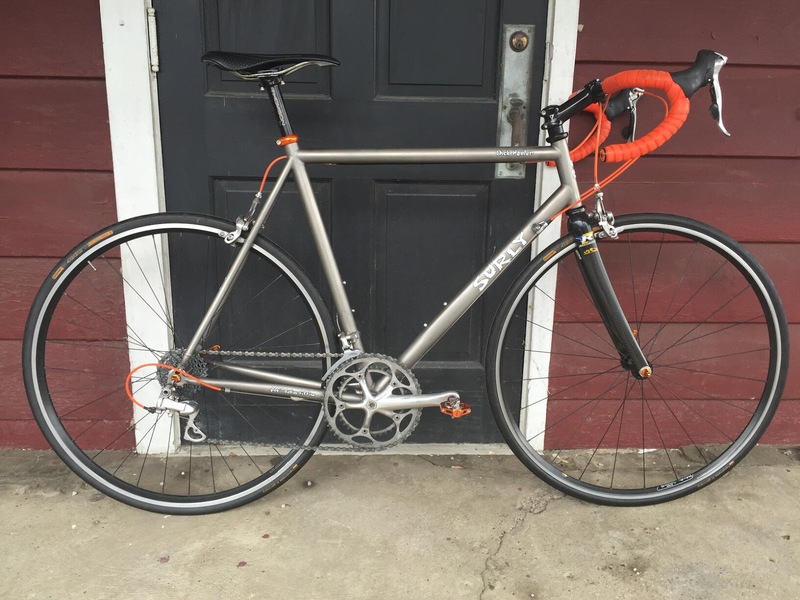 Professional bicycle mechanics at Century Cycles will provide free bicycle safety inspections, display essential bike commuting gear and information. Century Cycles and Raleigh Bicycles are teaming up to give away 10 bicycle helmets to the first 10 families who attend (limit: one helmet per family). Information about the Medina Bike to School Challenge will be available, and any questions about the program will be answered. 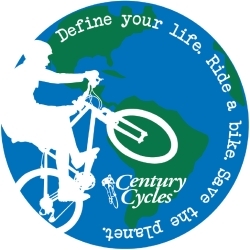 Professional bicycle mechanics from Century Cycles bicycle store in Rocky River will provide free bicycle safety inspections, display essential bicycle commuting accessories and information, and make smoothies on the Century Cycles blender bike. Century Cycles and Raleigh Bicycles are teaming up to give away 20 bicycle helmets to the first 20 families who attend (limit: one helmet per family). Bay Bike to School Challenge organizers will be available to answer questions about the program. The Bay Village Police Department is providing free bike licenses. Other informational booths include Bike Cleveland, Bay Village Green Team, and Project Earth Environmental Club. Have you been thinking about trying mountain biking, but don't have the proper equipment? Or you just want somebody along to show you the ropes? The Cleveland Metroparks has just the event for you! On May 26, 2016 from 4:00 to 8:00pm, the Cleveland Metroparks will be holding the first of their Mountain Biking "Try-It" Activities. The event will take place on the Bedford Singletrack mountain bike trail in the Bedford Reservation, with check-in at the Egbert Picnic Shelter. The cost is $10 per person, which includes the use of a mountain bike and helmet. Registration opens on Friday, April 15, 2016. Click here for details and registration information. Bike To School Challenge begins in May; over 5,000 students in NE Ohio schools take part in largest youth cycling event in the U.S.
ROCKY RIVER, Ohio – Over 5,000 middle school and elementary school students in the Cleveland, Ohio suburbs of Bay Village, Rocky River, and Medina begin the 2016 Bike To School Challenge in the coming weeks, committing to ride their bikes to school to help the environment, get more physical activity to improve their health, have fun, and win prizes. The award-winning program is May 2-20, 2016, and is the biggest bike-to-school program in the United States. It returns for its ninth year at Bay Village schools, its sixth year at Rocky River schools, and its fifth year at Medina schools. To help local residents get ready to ride their bicycles to school, work or just for fun, the Bike To School Challenge communities, schools, and sponsors have partnered to organize Bicycle Fairs during the week before the Challenge begins. The events are free and open to the public. 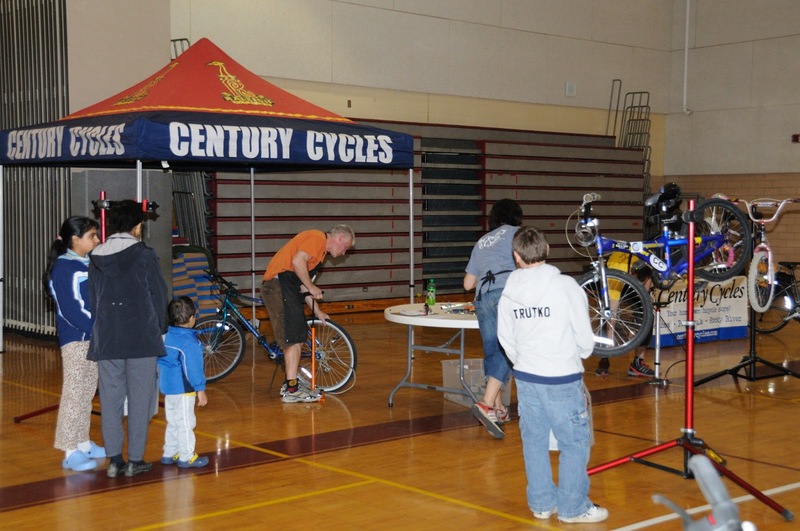 The Rocky River Bicycle Fair will take place at Rocky River Middle School, located at 1631 Lakeview Avenue in Rocky River, Ohio. The Bike To School Night will take place at the Century Cycles bicycle store located at 1059 North Court Street (State Route 42, in the Marc's shopping plaza) in Medina, Ohio. The Bay Village Bicycle Fair will take place at Bay Middle School located at 27725 Wolf Road in Bay Village, Ohio. Another significant ride day for the challenge will be Wednesday, May 4, which is National Bike To School Day. On or near the final day of the Bike To School Challenge at each participating school, a school-wide assembly will be held to celebrate the students' accomplishments. Prize drawings will also be conducted for bikes provided by Raleigh Bicycles, in addition to gift certificates and other items provided by other program sponsors. Information about these assemblies will be announced at a later date. The Bike To School Challenge concludes on Friday, May 13 at A.I. Root Middle School, Claggett Middle School, and H.G. Blake Elementary School. The Bike To School Challenge concludes on Friday, May 20 at Bay Middle School, Westerly Elementary School, Rocky River Middle School, and Kensington Elementary School. Westerly Elementary School was the first elementary school to participate in the Bike To School Challenge in 2014. Two more elementary schools, H.G. Blake Elementary School and Kensington Elementary School, were added in 2015. In just three weeks last May, students taking the Bike To School Challenge logged 84,772 miles, burned 2,216,100 calories (the equivalent of 12,176 cans of Coca-Cola), prevented 84,772 pounds of carbon dioxide emissions, and saved their parents $9,180 in gasoline. In 2009, only 13% of students in grades K through eight bike or walk to school (in 1969, that number was 48 percent), reports Safe Routes to School National Partnership. From 1976 to 2008, the percentage of overweight children 6 to 11 years old more than tripled. There are many potential benefits of physical activity for youth, including weight control, reduction in the risk of diabetes, stress reduction, relief of ADHD symptoms, and even better academic performance. In an article published January 2012 in the Archives of Pediatrics & Adolescent Medicine, researchers found that participation in physical activity is positively related to academic performance in children. Bicycling to school gives children time for physical activity and an opportunity to be outdoors, a sense of responsibility and independence, and the entire community benefits when there is less traffic congestion and better air quality. Students at Bike to School Challenge schools carry a "Ride Card" that is stamped each day they ride a bike to school. When they accumulate four bicycle rides to school, students receive a free t-shirt from main Bike To School Challenge sponsor and organizer Century Cycles bicycle store. 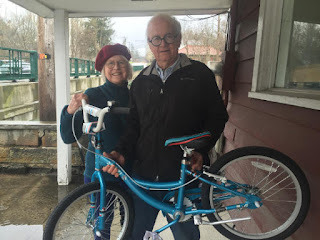 The more they bike, the more they can win – every Ride Card they fill up earns them more entries into a grand prize raffle that includes two new bicycles per school from Raleigh Bicycles. Safety is also rewarded: They earn twice as many entries if they wear a bicycle helmet. Program-wide sponsors are Century Cycles, Raleigh Bicycles, and Bike Cleveland. Additional sponsors of the Bay Bike To School Challenge are: Subway of Wolf Road in Bay Village, Honey Hut Ice Cream Shoppe, Bay Village Schools, Project Earth Environmental Club. Inspired by a student car boycott to protest high gas prices in 2007, Century Cycles owner Scott Cowan approached his alma mater Bay High School about what he could do to encourage more bicycling to school. Bike To School Challenge was born and was enthusiastically embraced by the students and faculty. Participation in 2008 exceeded organizers’ expectations. In 2009, the program was expanded to include Bay Middle School. It expanded to Rocky River Middle School in 2011 and to the Medina middle schools the following year. In 2010, Bike To School Challenge won the city’s Project of the Year Award from the Bay Village Community Council. High-resolution photos from past Bike To School Challenge events are available upon request. The Ohio & Erie Canal Towpath Trail is one of Northeast Ohio’s most popular bicycle paths by day. Riding it by moonlight is an entirely different experience that bicyclists can enjoy on Century Cycles Night Rides on the Towpath Trail, now back for their 22nd year this spring! The 2016 season of Century Cycles Night Rides on the Towpath Trail begins on Saturday, April 23. The rides start at 8:00pm at the Century Cycles bicycle store in Peninsula (1621 Main Street, on Route 303 next to the Winking Lizard Tavern). They are FREE and open to the public, and no advance registration is required. Plan to arrive by at least 7:30pm to have plenty of time to find parking, get yourself and your bike ready, and check in. * These are special event rides; see more details below. Led and supported by the bike store’s staff, Century Cycles Night Rides on the Towpath Trail are casual, ride-at-your-own pace bicycle rides (not races) about 14 miles long. They all begin and end in the parking lot of Century Cycles bike store in Peninsula. Parking is available at the Lock 29 Trailhead, just north of the store. Open to all skill levels, participants must sign a waiver prior to riding (one waiver is good for the whole season). 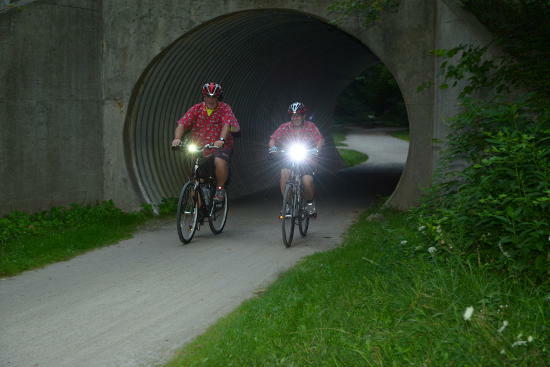 Riders must have their own bicycle, helmet, and headlight (the Towpath Trail is unlit at night and very dark). Children under 16 years old must be accompanied by an adult. The store is open up until the ride start time for riders who need any last-minute supplies or repairs. After the Night Ride, cyclists usually head to the Winking Lizard Tavern next to the store to recount past adventures on two wheels. For more information, call Century Cycles in Peninsula at 330-657-2209. Online, please visit www.centurycycles.com/for/NightRides, an informational page that includes videos and photos from past Night Rides and tips for first-time Night Riders. 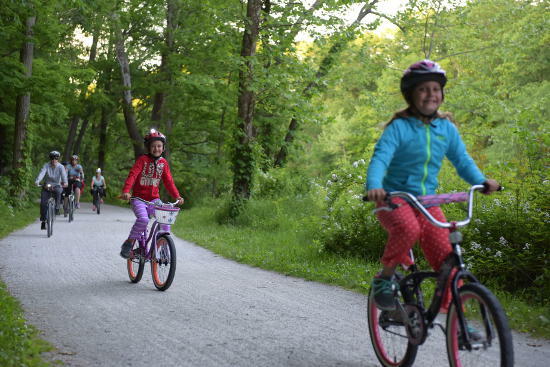 Started in 1994 as a staff ride, Century Cycles Night Rides on the Towpath Trail have grown dramatically in popularity, now regularly attracting over 150 bicyclists and their families who ride everything from mountain bikes to tandem bicycles on the crushed limestone trail. 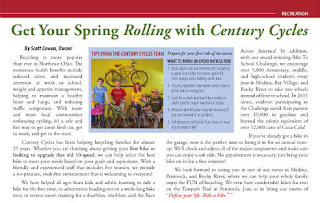 Century Cycles Night Rides were in the national spotlight in 2009 when Bicycling Magazine, the world’s #1 bicycling publication, dubbed them one of America’s great local rides. In 2010, Bicycling Magazine cited the Towpath Trail as one of the reasons Cleveland is the 39th-best bicycling city in the United States. Saturday, July 9: Pajama Party Night Ride - The Pajama Party Night Ride has been one of the most popular Night Rides ever, and Century Cycles is bringing the event back on July 9. Bike riders are encouraged to wear their favorite sleepwear on the ride (helmets are still required, and make sure clothing does not interfere with bike chain or wheels!). Slumber party-themed snacks will be served at the ride turn-around point. Saturday, August 13: Conservancy for Cuyahoga Valley National Park Fund-Raiser - Century Cycles appreciates the work being done by the Conservancy for Cuyahoga Valley National Park in maintaining all of our local national park's trails, especially the Towpath Trail and the popular new East Rim Mountain Bike Trail. On August 13, all Night Ride attendees are encouraged to donate to the Conservancy's TRAILS FOREVER Fund. Anyone who makes a donation will be eligible to win a high-end rechargeable bicycle headlight from NiteRider Technical Lighting Systems. Saturday, September 24: Costume Party Night Ride for National Bike Your Park Day - In further celebration of their 40th anniversary, and in celebration of the 100th anniversary of the National Park Service, the Adventure Cycling Association is promoting September 24 as "National Bike Your Park Day." To help the celebration, Century Cycles' final Night Ride of the season will be transformed into a rolling costume party! The crowd will judge the best costume, with the winner receiving a high-end NiteRider bike headlight! 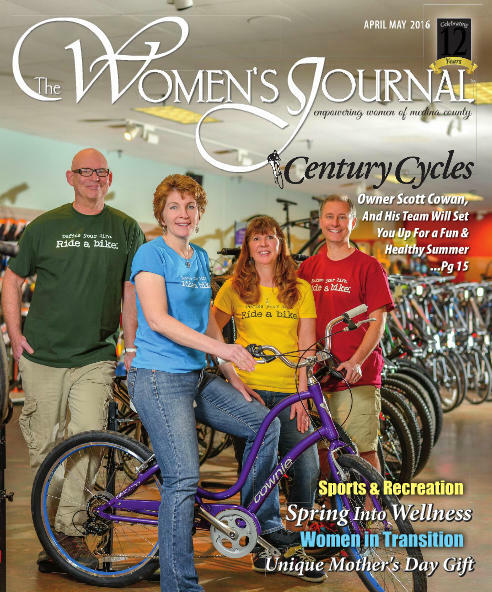 Century Cycles thanks The Medina County Women's Journal for featuring the staff of our Medina store on the cover of their April/May 2016 issue! You can read the entire issue online here. Go to page 15 to see our feature story, and find coupons for deals on bicycles, clothing/accessories, tune-ups, and bike rentals! Our road bike group ride season starts soon, with our first Sunday Service Ride! We'll ride our usual 20 miles on the streets in and around Medina. The pace is moderate, and the group will stop at each turn to wait for everyone to catch up. The weather forecast calls for rain in the afternoon, but dry and COLD during the ride time! Follow the event on Facebook for the latest updates, especially if the weather takes a turn for the worse and we have to cancel the ride. Fortunately, we can help you prepare for cold-weather riding -- we are currently offering 40% OFF the regular prices of all of our in-stock winter cycling clothing. This includes heavyweight jackets, jerseys, and tights; winter gloves, and even winter cycling boots! Join us at the 20th Annual Medina County Earth Day Celebration! Join Century Cycles and many other local organizations at the 20th Annual Medina County Earth Day Celebration! Earth Day Workshops - Advance registration and payment is required by April 7. Space in both workshops is limited. Contact 330-722-9322 to register. Compost Barrel - Cost is $65 which includes all materials. Requires truck or larger vehicle to transport. 2:00pm or 3:00pm. Backyard Wildlife Habitat - Learn how to create a garden for butterflies, birds, and bees. 2:30 - 4:00pm. Free. Nature Hikes at Hubbard Valley Park - Hike with a Medina County Park District Naturalist at Hubbard Valley Park. The park is located at 8600 Hubbard Valley Road in Seville. Hikes will leave from the parking lot at 12:00 noon and 2:00pm. Family Fishing Derby - Grab a rod and reel in an afternoon of fishing fun with your family. Families can register and fish between 11:00am to 3:00pm. Prizes will be awarded to registered families. Buffalo Creek Retreat is located approximately one mile south of Blake Road or approximately one mile north of Greenwich Road. The entrance drive is on the south side of the Hubbard Valley Lake Dam on the west side of Hubbard Valley Road just north of the I-76 overpass. From I-71, take the I-76 exit and head east towards Akron. Next, take the State Route 3/Seville exit. Turn right at the stop light onto State Route 3. Turn left at the next stop light onto Greenwich Road. Turn left onto Hubbard Valley Road. After you cross over the Interstate, the entrance to Buffalo Creek Retreat will be on your left just past the house. If you get to Hubbard Valley Park, you missed it. From the north on State Route 3, turn left onto Blake Road (the first left after you cross over the Interstate). Turn right onto Hubbard Valley Road. The entrance to Buffalo Creek Retreat will be just past Hubbard Valley Park on your right. If you cross over the Interstate on Hubbard Valley Road, you missed it. Spring Clearance: 30% OFF all indoor trainers and trainer accessories! The calendar may say it's Spring, but with the recent weather here in Northeast Ohio, it still feels like winter! We want to help keep you pedaling, even if that means indoors. To that end, we're offering you 30% OFF all indoor trainers and indoor trainer accessories! This applies to IN-STOCK items only. This includes trainers from CycleOps, Blackburn, and Giant, plus trainer accessories like riser blocks, mats, and sweat guards! 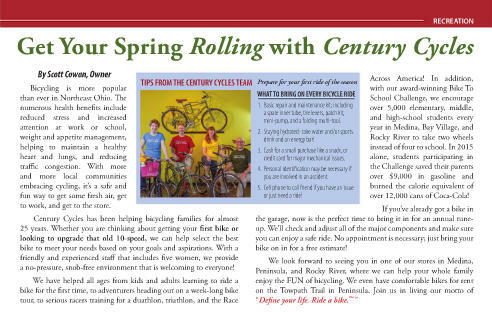 Stop in to your nearest Century Cycles store and check them out! The 2016 collection from Nutcase Helmets has arrived in our stores! There are LOTS of cool new colors and designs to choose from, plus your old favorites like "8 Ball" and "Watermelon!" Nutcase Helmets let you express your unique personality! All models feature 3 sizes to choose from (to fit a wide range of kids and adults), all including 3 sets of inner pads for an even more customized fit, easy-to-use magnetic buckles, removable visor, and reflective accents. And, they are certified for both bicycling and skating! Also, at the Century Cycles store in Rocky River, we've got a selection of Little Nutty helmets for the younger kids in the family! Stop into one of our three stores (Medina, Peninsula, and Rocky River, Ohio) to see our full selection! Don't see something you like? PLEASE ASK! There are way too many for us to display them all! Today (Saturday, April 2, 2016) marks the start of the Bike Aboard! service for this season on the Cuyahoga Valley Scenic Railroad! For just $3 per person with a bicycle, you can take the train one-way between any two points on the railroad between Akron and Rockside Road in Independence. Bike Aboard! service is available Saturdays and Sunday in April; Fridays, Saturdays, and Sunday in May; and Wednesday through Sunday June through October. If you plan to use Bike Aboard! in conjunction with Century Cycles' Towpath Trail Bicycle Rental service in Peninsula, please note that you'll need to do some advance planning. 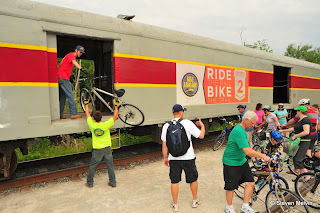 We recommend that you get the bicycles from us first, get on the train in Peninsula, let the train take you as far as you like, then ride your bikes back to us in Peninsula. That way, you are on your own time getting back, without having to worry about being at a certain place and time to catch the train. Either way, you MUST have the bicycles back to us in Peninsula before our store closing time. Check our current hours of operation. In a move that is sure to send shockwaves through the bicycling world, Surly Bikes has announced that they will make their first departure from their all-steel frames for their bikes, and will be manufacturing their first-ever titanium frame. The new model will be a road bike for the 2017 model year. 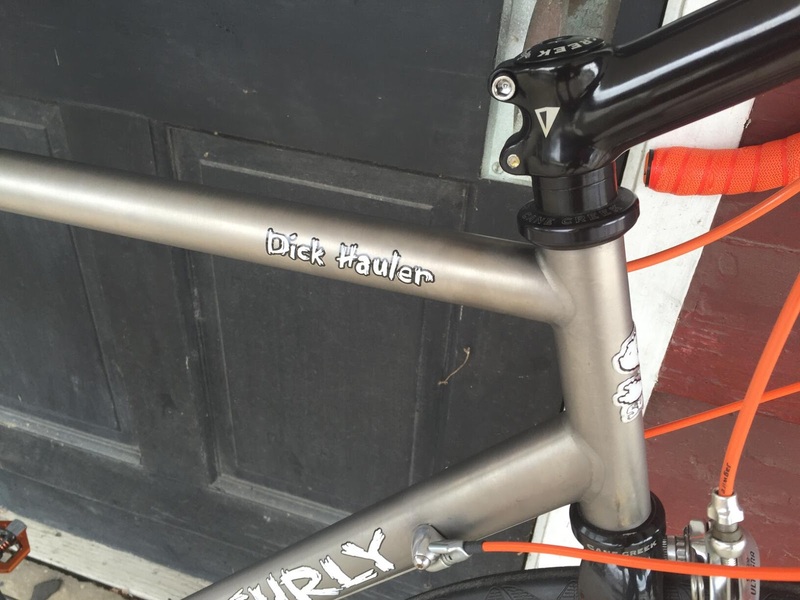 We've been testing out an early prototype of this bike for the past year, and we have to say, it's da bomb. 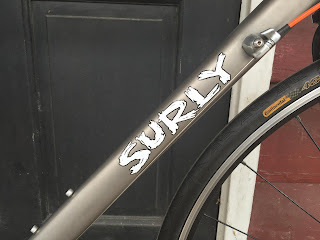 Titanium paired with a carbon fiber fork gives you all of the comfort of Surly's traditional 4130 chromoly, with the durability and light weight of titanium. Our test model came equipped with a mixed Shimano Ultegra/Dura-Ace drive train, and weighs in at just under 19 pounds (with pedals!). Featuring S-bend seatstays for lateral stiffness and vertical compliance, the frame of course also embraces Surly's "Fatties Fit Fine" philosophy, accepting up to 700Cx32 tires, or 700Cx28 with fenders. The color available is, um, Titanium. Pricing and the official name for the new model are yet to be determined.